Handicaps allow a group of golfers with differing skill levels to compete fairly. A handicap rating is roughly equivalent to a player's score relative to par in an average round of golf. 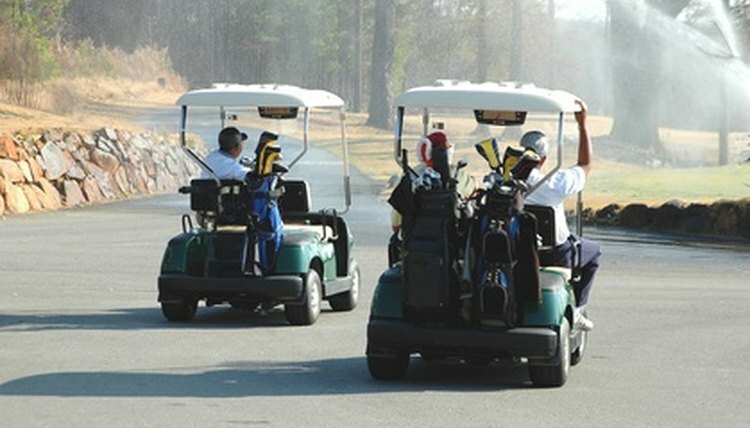 Golf handicaps can be carefully calculated, or loosely estimated, The ultimate goal of playing with a handicap is to create a level playing field for all members of a golf group or outing. The USGA method of measuring handicaps can seem daunting at first blush. However, it is a simple task to perform once mastered and ia very effective method of determining a player's true handicap, so much so that it has begun being used outside of the United States as well. To calculate a player's handicap, an individual must find his handicap score on every round he plays. A handicap score is found by subtracting the course rating, located on the scorecard, from the player's score. The result is then multiplied by 113 and divided by the course's slope, also located on the scorecard. The resulting score is the handicap for that round. The player then takes his best 10 scores in his prior 20 rounds, averages the handicap score for those rounds, and multiplies by .96. Many courses offer a program where a computer is provided to track a player's handicap. While a calculated handicap is the most precise way to determine a player's relative skill level at golf, not every player plays often enough for a calculated handicap to truly reflect their skill level. A calculation requires a minimum of five rounds, from which the best score is taken, however for some golfers this can encompass a wide range of time, leading to an inaccurate representation of their score. When a calculated score is not available, a handicap can be estimated. A player that normally shoots in the high 90s, for example, would likely have a handicap of around 26 or 27. To use handicap stokes to level a playing field, the exact handicaps are not important, but rather the difference in handicaps. A golfer with a 5 handicap playing a round with a friend that has a 13 handicap would have to give his opponent eight strokes to be fair. When playing stroke play, the players can simply subtract four strokes from the weaker player's score on each nine. In match play, however, where hole scores count individually, the players must consult with the stroke index, a ranking on every score card ordering the holes from 1 to 18 in order of difficulty. In the above example, the weaker player would subtract a stroke off their score on every hole ranked 1 to 8.